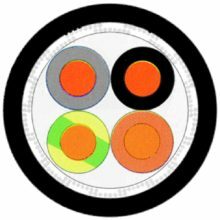 PVC & polyurethane flexible bus cables. Offerings include (AS-i) Actuator-Sensor-Interface, Profibus, Interbus, DeviceNet, CAN-BUS & Safety-Bus cables for Siemens, Phoenix Contact, GE Fanuc and Mitsubishi CCL automated field bus systems. Common products are ASI-BUS, PROFIBUS-PVC, INTERBUS-PVC, DEVICENET-PVC, CAN-BUS-PVC and SAFETYBUS-PUR. 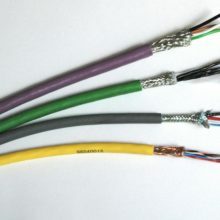 PVC, polyurethane and halogen-free electronic and data cables. Available non-shielded, overall shielded or individually shielded with conductor counts or pair count configurations. 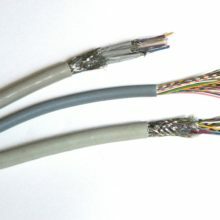 Used as data and signal cables in computer systems, electronic controls and office equipment. Common products are LiYY, LiYCY, LiHH, LIHCH and LifYCY. PVC, rubber/neoprene, and polyurethane cables for festoon, lift, elevator, pendant & reel, and maximum torsion applications. Available in round or flat, shielded or non-shielded versions. Found in extreme torsion, twisting and heavy lifting applications as gantry cranes, heavy lifters and hoisting control systems. Common products are H07VVH6-F, NGFLGOU, NSHTOU, TRAGO-LIFT, ROBOFLEX and NSSHOU. Also includes Power and Fixed installation cables as NYY and NYM. PVC, polyurethane, halogen-free, intrinsically-safe cables available shielded or non-shielded and with or without national and international approvals. These cables are commonly found in machine tools, assembly lines, control systems, CNC centers and production lines. Common products include FLEX-JZ (CE), FLEX-UL (UL/CSA/CE) and FLEX-QUATTRO (UL/CSA/HAR). 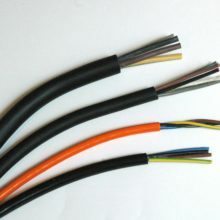 Harmonized PVC, rubber/neoprene, rubber/rubber, polyurethane, silicone and non-harmonized portable cordages. These light, medium and heavy duty jacketed cables are found on equipment such as boilers, appliances, electrical tools and machines. 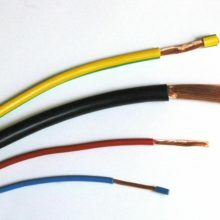 Common products are H05VV-F, H05RR-F, H07RN-F and H07ZZ-F.
Harmonized PVC, polyurethane, rubber, halogen-free and non-harmonized lead wire. Available in solid, stranded or fine stand, with or without national and international approvals. Used in electronic and electrical equipment designed for export work to European countries. Common types include H05V-K/H07V-K, H05Z-K/H07Z-K and H05V2-K/H07V2-K UL/CSA and LiFY. 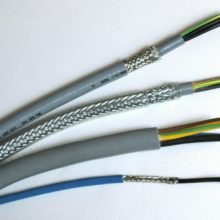 180-Degree C. silicone single conductor and multi-conductor cables. Available with overall steel braid, inner braid shield and medium to high voltages. 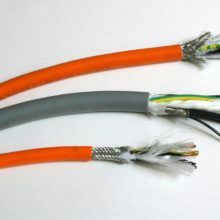 Found as connection cables in power plants, steel mills, cement factories, foundries, and in ship building. 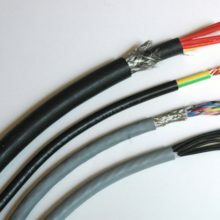 Common products are SiF, SiHF, SiHF-GLP, EWKF, SiHF-UL and H05SS-F.
VC and polyurethane cables available shielded or non-shielded and with or without national and international approvals. The stranding is available from continuous-flex strands to super-flex and ultra-flex strands. These highly flexible cables are found in cable tracks, automatic handling equipment, robots and high speed applications. Common products include EXTRAFLEX, SUPERFLEX, MULTIFLEX and ULTRAFLEX. PVC and polyurethane, shielded or non-shielded servo motor cable crosses to Siemens, Indramat, GE Fanuc & Lapp/Olflex systems complete with UL/CSA & DESINA approvals. Common products are SERVO-SM, SERVO-INK, SERVO-LP, 2YSLCY-JB and 2YSLCYK-JB. 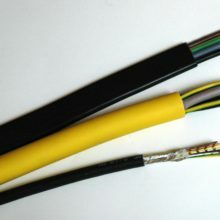 SIWO-KUL cabkes are a 180 Deg C. flexible silicone insulated cable made up of class-5 tinned copper strand, semi-conducting tape, silicone rubber core and a yellow overall coated synthetic yarn reinforced braid. 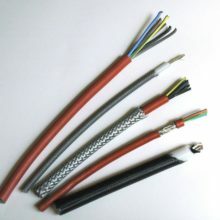 Variable frequency drive cable (VFD), flexible double shielded motor connecting cable and PVC flexible control tray cable for automotive, paper and food industry, environmental technology, packaging industry, machine tools and handling equipment and/or tool and plant construction machinery. Common products are VFD-THIN, 2YSLCY-JB, 2YSLCYK-JB, 9YSLCYK-JB+3, FLEX-TM and FLEX-TC. We are by no-means limited to the above product categories or products within them. We specialize in non-standard and hard-to-find items. Please call us directly at (847) 882-4333 or toll-free at (888) 882-4638, and we can work together to find the custom fit for your specialty wire and cable request.